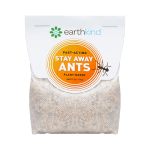 EarthKind’s groundbreaking Stay Away® Pouch Pod™ uses biomaterials and innovative technology to virtually mimic plastic. 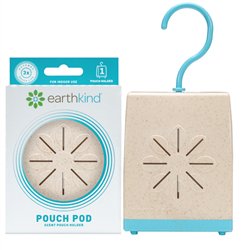 EarthKind’s Pouch Pod™ is made from flax, creating a rigid 100% bio-based container that is reusable for up to three-years. 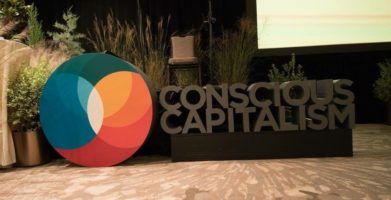 With this breakthrough innovation, the potential for biomaterials to reduce reliance on plastics is a reality, says EarthKind’s CEO/Founder, Kari Warberg Block. 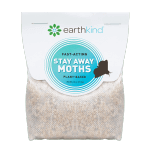 EarthKind®, makers of award-winning, plant-based pest prevention pouches, continues leading the way in sustainable breakthroughs. 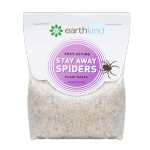 EarthKind’s Pouch Pod™ was designed to not only extend the shelf-life of the brands’ Stay Away® repellent pouches, but also to be an eco-friendly and economical alternative to plastic containers. Made with flax-filled PLA resin, the Pouch Pod™ design resulted from a 2-year collaboration with scientists, engineers, and EarthKind’s CEO/Founder, Kari Warberg Block, who relentlessly seeks new innovations to tackle climate change, pollution, and harmful chemicals in our environment. “Working with forward-thinking, eco-minded scientists, artists, and farmers on this product was not only inspiring, but reaffirmed my faith that together, we can discover and create sustainable solutions for the products and practices that are most threatening our Earth,” says Warberg Block. EarthKind’s Pouch Pod™ is made from flax shive grown on North Dakota farms, creating a rigid, 100% bio-based container. The Pouch Pod™ is biodegradable and reusable for up to three-years when decomposition naturally begins, and allows for a slow, consistent release of the pouch’s oils, preserving product for up to 3x longer. It also functions to prevent children and pets from tampering with the Stay Away® pouch, while protecting finished wooden surfaces and clothing that may be affected by the essential oils in the pouch. EarthKind® has a 98% carbon-free footprint, certified by the USDA Bio-Preferred Program, achieved through Just-In-Time (JIT) Manufacturing, reducing Work-in-Progress (WIP) and changeovers, and minimizing defects in the manufacturing process. By using reusable and recyclable shipping containers for their raw materials, EarthKind® leaves almost nothing in the landfill, with all ingredients sustainably sourced from American family farms. 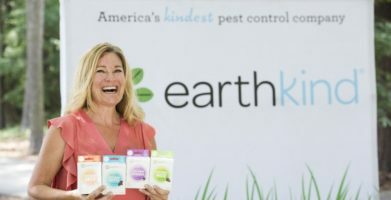 EarthKind® is determined and excited to keep raising the bar for sustainable initiatives, with an overall mission to reduce people’s reliance on harmful pest control methods from 90% today to 50% by 2020. This Earth Day, Warberg Block encourages everyone to celebrate our planet the EarthKind® way – by being proactive, spreading awareness, and always loving life and living kind. 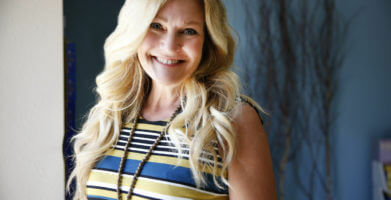 Media interested in learning more about EarthKind® or interviewing CEO/Founder Kari Warberg Block, please contact Sara White at sara@adinnyc.com or 212-693-2152.
string(53) "Plastic-Free Pouch Pod™ Makes Bio-Innovative Impact"